Memory is a memory foam pillow that embraces and follows the head shape. An hypoallergenic transpiring cushion with terrycloth cover. This memory foam pillow is made up of a peculiar viscoelastic foam that reacts to the body weight and heat. The pillow takes the head shape resulting very comfortable for those who like an embracing sensation. 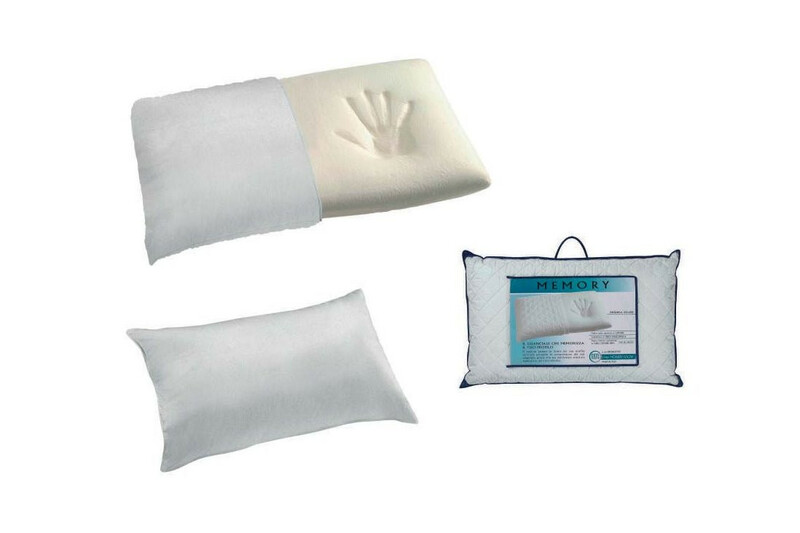 Also ideal if you suffer from allergies or want to rest in a clean healthy environment, Memory has a standard terrycloth lining, and can be also completed with a cover to protect it from stains. 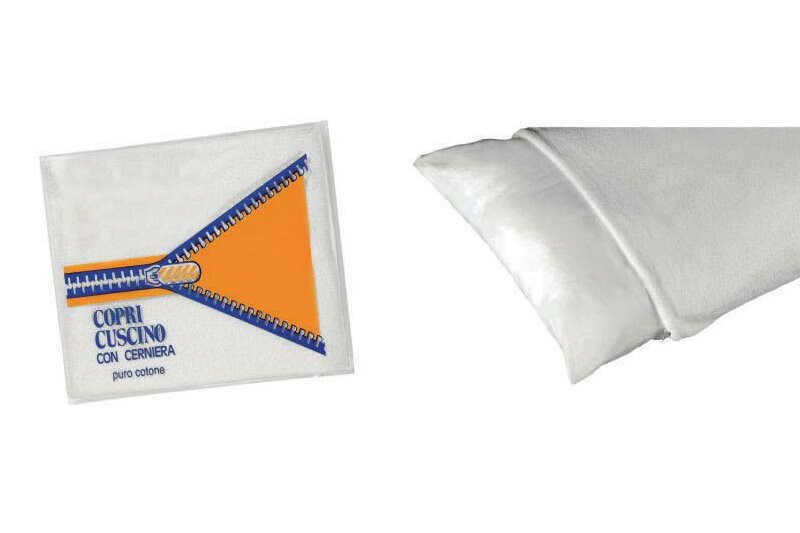 Memory pillow is available with a optional cm ± 50 x 80 100% terrycloth cover. Memory is a material made up of a combination of particular foams and additives able to react to the weight and heat of a body. If you put a weight on it, a memory surface gets gradually deformed, and, when the weight is removed, gradually goes back to its original shape. This happens thanks to the so-called "shape memory" that makes the pillow very elastic, but also resistant and resilient. Memory is also a material without harmful substances, thus resulting hypoallergenic and creating a healthy and salutary environment.